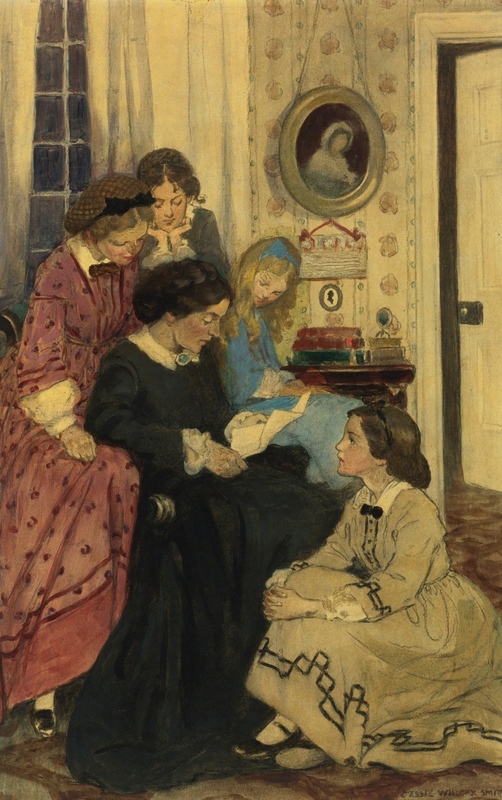 Little Women has charmed readers for generations. The story of the March sisters – Meg, Jo, Beth, and Amy – endures for both its sentimentality and its realism, as a conventional tale that takes a nostalgic look back at domestic life, and as a forward-looking novel that reveals both the restrictions placed upon and possibilities open to women in the mid-nineteenth century. Mark Gallagher, a PhD candidate in the UCLA Department of English, organized this exhibit celebrating the 150th anniversary of the publication of Louisa May Alcott’s classic. Featuring materials from UCLA Library Special Collections, the exhibit explores Alcott’s life and works, highlighting her commitment to women’s suffrage and “reforms of all kinds.” Also featured are some of the many women writers and leaders who have been inspired by Little Women and its rebellious protagonist, including Geraldine Brooks, Hillary Rodham Clinton, and Susan Sontag.